AIM+:Advanced Integrated Matrix Plus Multi-Fiber 강인한 유리 섬유와 4차원 형상으로 한 유기 섬유 복합 적층 구조를 바탕으로, 높은 탄성 성능을 지닌 고성능 유기 섬유를 플러스, 경량이면서 강성 탄성이 뛰어난 고성능 셸 구조. 신세대 스포츠-링 풀 페이스를 만들기에 해당하므로 우선 SHOEI가 생각한 것. 그것은 확실한 안전성이나 기능과, 스타일리시한 디자인의 융합했다. 그래서 불필요하게 모자 몸체가 크지 않게 셸의 형상을 연구하고 있습니다. 외형뿐만 아니라 공력 성능 향상에 한몫하고 있습니다. 트리-링 풀 페이스로서의 새로운 기준을, GT-Air가 만듭니다. SHOEI 풀 페이스 헬멧과 최초로 채용된 개폐식 이너- 산 바이 더-에는, 인젝션 성형 폴리 카드- 보네-도제 "QSV-1" 를 채용 변형이 적은 이 산 바이 더-는, 유럽의 선글라스 규격인 EN1836에도 적합할 정도의 높은 성능을 가지고 있습니다. 또, 갑자기 의도하지 않고 산 바이 더가 내려오지 않도록, 조작 레버를 산 바이 더-저장 위치에서 허-루도하는 기구를 채용하고 있습니다. 갑자기 나타나는 터널, 눈부신 여름 햇살, 겨울의 석양, 야간 주행…트리-링처에서 라이더가 만난 환경은 다양)입니다. 개폐식 이너- 산 바이 더-장비로, 그러한 라이딩 중에 자꾸-으로 변화하는 주변 환경에 순식간에 대응 가능하게 되는 것이고, 추가 세-후티라이도에 공헌합니다. 불쾌한 소리를 집안으로 침입시키지 않겠다. 자사 대형 풍동 시설에서 잦은 시험에서 조련된 정숙 성능. 특히 장시간 달릴 때에 현저하게 되기 쉬운 소음에 의한 피로를 경감할 수 있도록, 에어로 다이나믹스에 뛰어난 모자 몸체, 딱 밀착함으로써 쓸데없는 틈을 만들지 않는 내장, 공기의 흐름에 따른 소리를 의식한 벤치 레-션 등, 하나하나의 파- 츠에 세심한 주의를 내기로 헬멧 전체에서 시간 성능을 향상시키고 있습니다. 또한 부속의 진 카드-텐이 탄탄한 방풍 효과를 발휘하고 새로운 저소음화에 공헌하고 있습니다. 변형이 적은 주입 성형에서 만들어지는 CNS-1시-르 코드를 채택. Down&Press의 두 단계 액션으로 제대로 헬멧 본체에 밀착합니다. 또한 시-루도와 접한 창문. 고무는 이중 립 구조하는 점, 불쾌한 바람의 유입과 우수의 침입을 막고 있습니다. 물론, 종래부터 정평 있는 착탈의 용이성은 그대로. 공구는 일절 불필요, 원터치로 쉽게 시-르 도는 착탈이 가능합니다. 예를 들면, 트리-링처에서 좀 더러움을 빼고 싶어… 같은 상황에서도 스트레스 없이 대응할 수 있습니다. 헬멧은 라이더를 사포-공포할 수 있는 존재이어야. 우천 등 악천후 때나 기온이 낮은 때에 발생하기 쉬운 시-루도의 흐림을 누르고 양호한 시야를 확보함으로써, 라이더의 든든한 아군이 되기 PINLOCK®fog-free system을 표준 장비. 시-루도 안쪽에 장착하는 특수시-도의 단열 효과 때문에 높은 방수 성능을 자랑합니다. 기존의 것과 비교해서 확대된 그 시-도는, SHOEI최고봉 레-신구 모델 X-TWELVE에도 채용되고 있는 CW-1용으로 공통. 시-루도 상단까지 제대로 커버- 합니다. 시-루도 마찬가지로 쉽게 착탈할 수 있는 시-도는 보수도 간단합니다. 진 스트랩도 중요한 안전 기능 부품입니다. GT-Air에는 확실한 강도를 지니듯이 주요 파트너- 츠노 모두 고품질 스테인리스로 한 마이크로 래칫식 징 스트랩 버클을 채용. 두꺼운 구로-부산을 하고 있어도 착탈의 조작이 쉽고, 미세 조정도 거뜬한 편리성을 갖추고 있습니다. 더 손톱이 항상 2군데 래치에 걸리다 확실하게 유지하는 구조와, 일정 이상 리리-스 레바를 일으키지 않으면 버클을 떼지 않고 의도하지 않는 버클이 해방되는 것을 억제하는 구조를 갖추는 등, 세부에 이르기까지 SHOEI의 안전 사상이 깃들어 있습니다. 입체적으로 성형된 듯하- 경도의 우레탄을 적절히 조합하는 것으로, 쾌적하면서 탄탄한 탄력 있는 피팅을 실현. 표면 옷감에 고기능 흡습 속건 섬유인 HYGRAR과 촉감이 좋은 기모 소재를 효과적으로 사용하는 것이고, 쾌적한 히-링을 가져옵니다. 착탈식이야-패드는 라이더의 기호에 따라서 분리하는 것이 가능하고, 귓가의 스페인-스에 여유를 가질 수 있어요. 또, 지-크팟도는 안경의 사용을 고려한 설계로 했습니다. 덩굴과 같기 쉬운, 부드러운 우레탄을 적정한 위치에 배치하는 것으로, 안경의 곗돈 기분을 향상시키고 있습니다. 쓸데없는 빈틈이 생기지 않으므로, 저소음성도 희생 안 됩니다. 다른 내장 부품도 포함, 관리 시에는 이들 내장 부품 모든 것을 쉽게 분리하는 것이 가능. 또, 두께가 다른 내장 부품도 옵션 파-트리로 준비. 라이더의 취향에 따른 피팅의 미세 조정을 가능하게 하고 있습니다. 다시는 지-크팟도에는 긴급용 헬멧 분리 시스템이다 "E.Q.R.S." 를 장비했습니다. 만일의 사고가 발생되어 버렸을 경우, 구호 작업을 실시하는 제삼자가 라이더-에서 헬멧을 제거하라는 것은 상상 이상으로 곤란합니다. 충격 흡수 성능과 쾌적성은 물론이지만, 이런 긴급시의 구호 작업을 사포-도 할 수도, 헬멧의 소중한 기능의 하나. SHOEI가 개발한 E.Q.R.S. (Emergency Quick Release System) 는, 전용 리본을 떼 만한 간단 조작으로, 라이더의 경부에 대한 부담을 최소화하고, 쉽게 헬멧을 떼어 낼 수 있습니다. *보통, 유지 보수 등의 목적으로 지-크팟도을 분리할 때에는 E.Q.R.S.를 사용하지 마세요. 확실히 바람을 느낄 수 있게. 구로-부산을 한채도 쉽게 개폐 조작을 할 수 있도록 벤치 레-)는 셔터-마다 크게 가동시켜서 여닫는 구조를 채용. 대형 앞 벤치 레-션에는 외기를 효율적으로 도입하는 동시에, 시-루도 주위의 열기를 밖으로 배출하는 기능도 갖추고 있습니다. 리어 아울렛은 라이딩시의 자세나 각도까지 고려한 설계. 더 스포이라-와는 독립된 파리-트리로 함으로써 순수하게 환기 효율을 추구할 수 있어 효과적으로 헬멧 내부의 열기를 밖으로 배출하는 능력을 손에 넣고 있습니다. 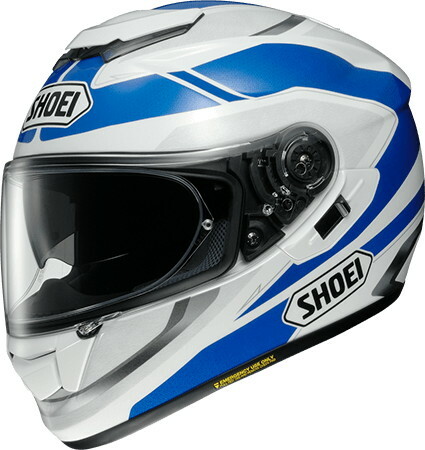 In creating a new generation TouringFull face, what SHOEI thought first. It was a fusion of reliable safety and functionality with Stylish Design. By adopting the opening and closing type InnerSun visor, while not having to sacrifice the thickness of the shock absorbing Liner directly connected to the shock absorbing performance, while having the capability to cope with various surrounding environments, the cap is still unnecessarily large in the cap body I devise the shape of Shell so that it does not become. By connecting the Line connected to the back of the head so that it flows from SIDE, it functions as an integrated Spoiler, which helps improve aerodynamic performance not just looking. GT-Air creates new standards as PremiumTouringFull face. ■ GT-Air acquired Helmet · of the year at webBikeWorld. 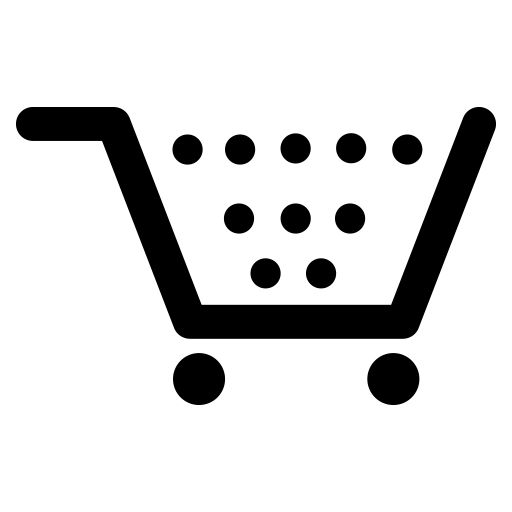 'WebBikeWorld' WebSite which is transmitting evaluation of Motorcycle supplies such as Helmet and u Air, mainly in North America. We do not accept any product offering or advertisement from Manufactureretc., But by posting products independently and evaluating it, we post a fair evaluation of the User's eyes. 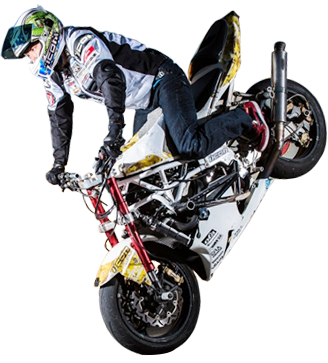 This WebSite sometimes gets a dry evaluation, the trust from the general Rider is also thick, and many Ridors are guiding the purchase of supplies. 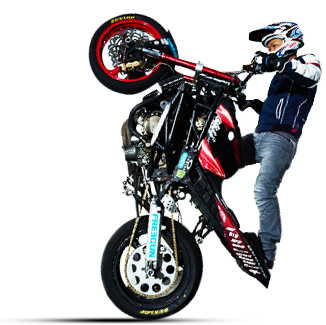 Every year we have selected superior products "Motorcycle · Product · of the Year". This time, which is the ninth time, GT-Air shone in 2013 Helmet · of · the year. High performance organic fiber with high elastic performance based on composite laminated structure of strong glass fiber and organic fiber made into three dimensional shape Plus High performance Shell structure excellent in rigid elasticity despite lightweight. QSV-1 Sun Visor Even if the sun changes, the same running as usual. 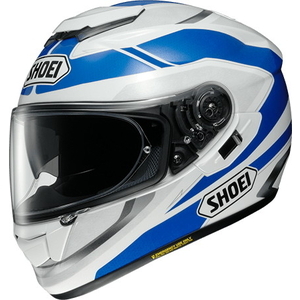 The first use of the SHOEI full-face helmet, the opening-and-closing inner sun visor, made of injection molded polycarbonate "QSV-1" This sun visor with less distortion has high performance enough to conform to European sunglasses standard EN 1836. Also, to prevent accidentally unintended unintended sun visor coming down The mechanism that holds the operation lever in the sun visor storage position is adopted.The environment in which the rider meets riding at the tooling destination varies in the tunnel which appears suddenly, dazzling summer sunshine, winter sunrise, night driving .... Equipment With the inner sun visor, we will be able to respond instantly to the surrounding environment that changes constantly during such riding, contributing to further safety ride. It conforms to the European standard EN 1836 * and boasts high optical performance that can also be used as Sunglasses. Standard specified by each of the European Standardization Committee and the US National Anthem Standards Committee, stipulating the light transmittance, astigmatism which causes light distortion, distortion etc., strength etc. Do not generate unpleasant sounds Do not let unpleasant sounds penetrate inside. Quiet performance trained with repeated tests at our own Large type wind tunnel facility, especially to eliminate fatigue caused by noise that tends to be remarkable when running for a long time, by fitting a superior cap body for Aerodynamics, perfectly We are improving the quiet performance of Helmet as a whole by paying detailed attention to each individual part such as interior that does not make extra gap, Ventilation conscious of sound by air flow etc. Furthermore, the attached Chin curtain is solid It exerts windbreak effect and contributes to further quietness. Chin curtain of Standard Equipment. Effectively suppress wind involvement Mesh Type is also available as Option Option. Helmet should be able to support the Rider when weather conditions are bad. Compliance of reliable safety and easy-to-use ease. Even inside Helmet, let's feel the wind firmly. Ventilation adopts a structure that opens and closes Large by moving it with each shutter so that opening and closing operations can be easily performed while keeping the Gloves.The Large Front Ventilation introduces the outside air efficiently and the hot air around the Shield is brought outside We also have a function to discharge.RearOutlet is designed considering attitude and angle at the time of Riding.In addition, it is possible to pursue purely ventilation efficiency by setting it as independent Parts from Spoiler, I am getting the ability to discharge hot air outside. I aimed for a feeling of wearing that I wanted to run anywhere. By comfortably combining urethane of various stiffness molded three-dimensionally, we realized fitting with firm and firm rigidity.The surface fabric is high feel and moisture fast drying fiber HYGRAR and good touch By effectively separating brushed materials, it brings a comfortable feeling.The detachable ear pad can be removed according to the taste of the rider, it can make room for the ear's space.In addition, The cheek pad was designed with the use of eyeglasses taken into consideration.The plain weave of cranes is arranged in the proper position to arrange the soft urethane properly.It is impossible to create useless gaps so silence It is not sacrificed, other interior parts are also included, and at the time of maintenance it is possible to easily remove all of these interior parts.In addition, Instrumentation parts also enables fine adjustment of the fitting in accordance with the prepared. Rider favorite as an optional part. Furthermore, there is an emergency helmet removal system in the cheek pad "EQRS" Equipped (See other explanation). "HYGRAR" is Unitika (stock) It is the product name of. By using Urethane which is softer than the part through which Glasses' crawl passes, it improves the wearability of Glasses without making unnecessary gaps. Ear Pad is detachable, allowing you to adjust the Space of your ear according to the taste of Rider. A system equipped so that a third party can rescue a rescue operation more quickly in the unlikely event that Rider needs relief While quickness is required during relief, it is prudent to remove Helmet from Rider EQRS is equipped with a dedicated Ribbon for Teak Pad so that you can easily remove Teak Pad from Helmet by pulling this Ribbon at the time of rescue Pull out Teak Pad which holds cheeks It is possible to easily remove Helmet from the Rider.